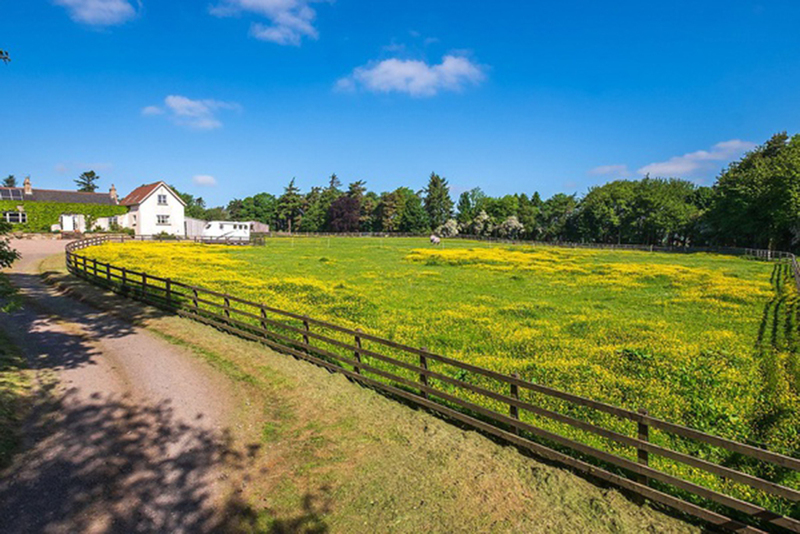 A beautiful cottage offering first class equestrian facilities is now available, located in a delightfully private sheltered rural Fife setting. Presented for sale by Galbraith, and having been significantly improved by the current owner, Cunnoquhie Cottage is a charming rural property situated in a lovely private situation and surrounded by some glorious countryside. 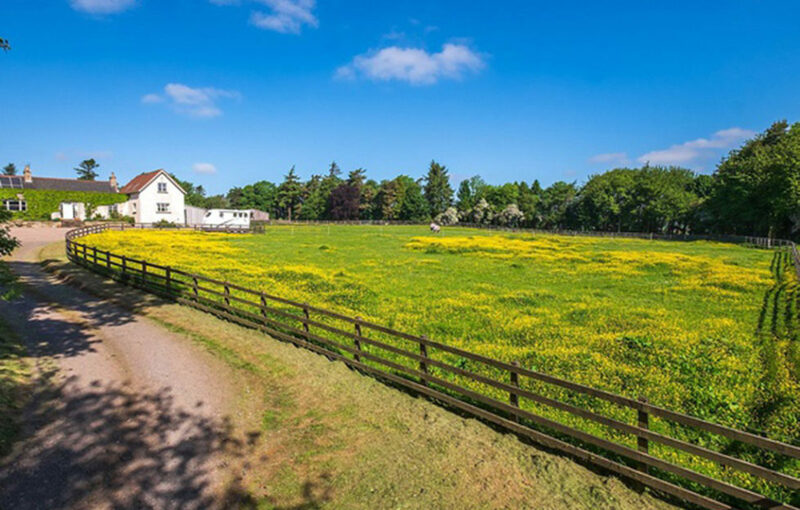 Cunnoquhie Cottage is in a wonderful, leafy rural setting a short distance to the west of Fife’s popular county market town of Cupar, close to the village of Letham. The property is accessed by a shared private driveway and screened by amenity woodland. 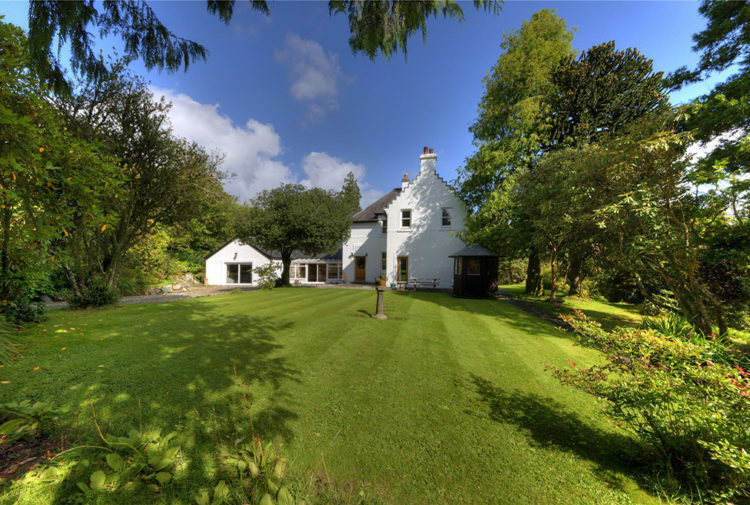 The property benefits from excellent equestrian facilities and is centred upon the charming Cunnoquhie Cottage, a delightful house with a lovely air about it which is understood to have started life as a pair of stone gamekeepers’ cottages on the original Cunnoquhie Estate. 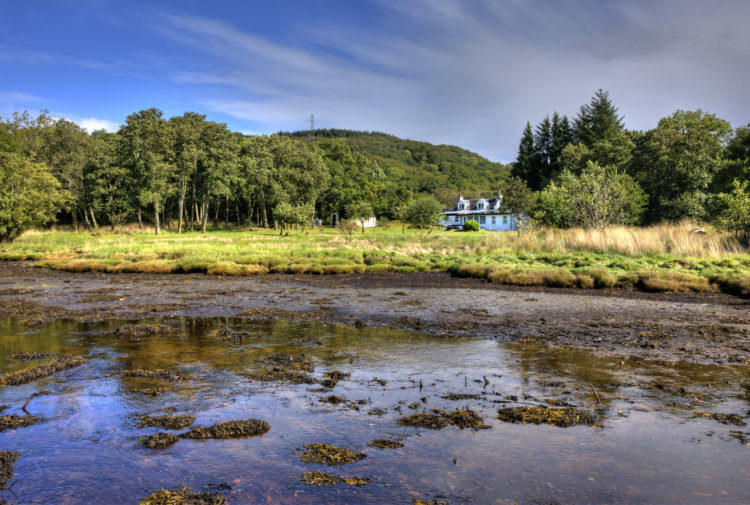 Cunnoquhie Cottage was extended and remodelled in the mid 1980s and the current owner has done much in recent years to improve the house including replacing the kitchen and bathroom furniture and upgrading the décor throughout. Standing in a slightly elevated position, the house enjoys impressive open southerly aspects over its own land. The house now offers beautifully proportioned accommodation over two levels extending to about 267 sqm (2,876 sqft), which in brief comprises two/three reception rooms and scope for four/five bedrooms along with a study/further single bedroom, a bathroom, shower room, laundry and additional ancillary accommodation. The drawing room and dining room are of particular note with sliding doors between them offering scope to create one large room for entertaining. With a lovely wood burning stove as its focal point, the drawing room also benefits from direct access to the main garden. A stove has also been installed into the snug, which could also serve a sixth bedroom. The current owner obtained planning permission to further extend and remodel the house, but it is understood that this has now lapsed. The sheltered well stocked cottage garden, essentially facing south and west, is a joy, with the delightful enclosed inner garden area essentially laid to lawn and with a lovely mix of plants, trees and shrubs as well as an enchanting private bar / summer house. The outer garden comprises a croquet lawn / former tennis court, along with several young specimen trees and to the side is a vegetable garden. There are outbuildings of note, with a private bar/summer house, two garages and a wood shed. The property benefits from excellent equestrian facilities, which have been significantly upgraded and remodelled by the current owner. The Yard – Extensive horse yard of timber/stone construction under corrugated roofs, with power, light and water and standing on a concrete base. 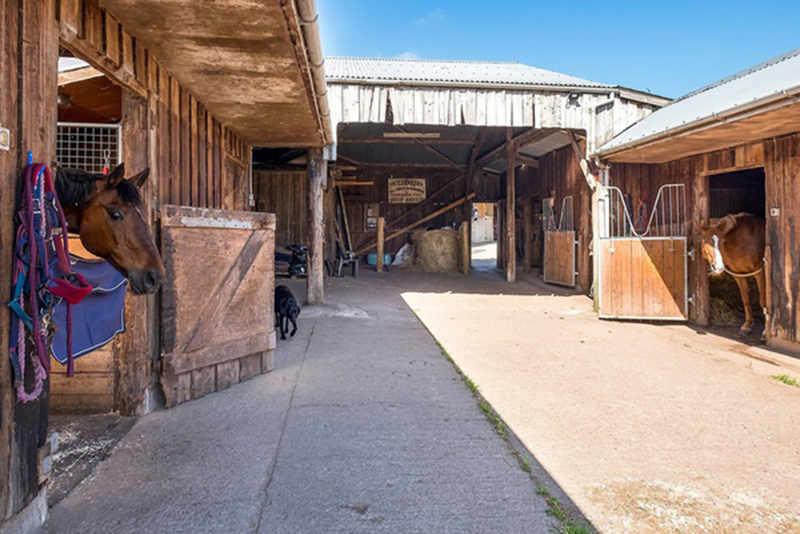 The yard offers 16 stables and is served by a substantial tack room with laundry. Built onto rear of the yard is a hay store and beyond is four further stables approached by a concrete apron. 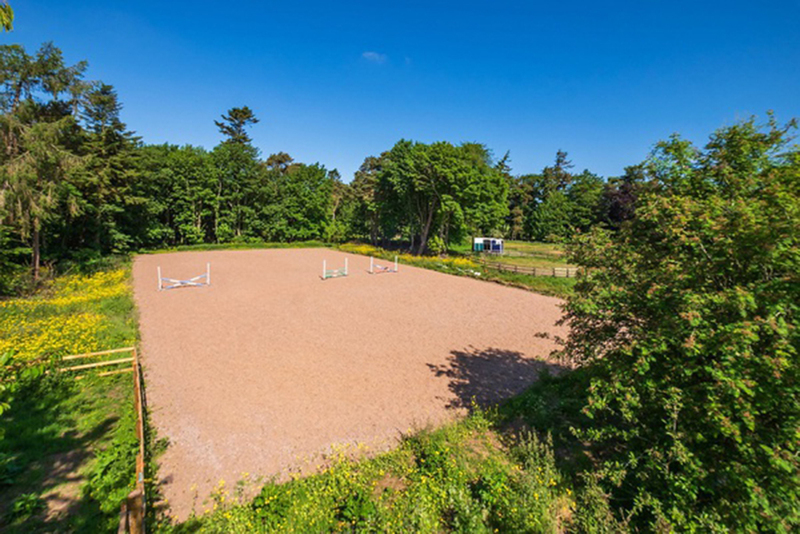 Horse arena – Situated above the yard, and also accessed from the adjacent farm road, is an arena with circular training ring to the side contained by post and rail fencing. There are various well fenced paddocks contained by a mix of post and rail as well as wire fencing, which extend to approximately 17 acres in total. For hacking, there is access to Letham village via farm tracks. In terms of facilities, Cupar offers an excellent mix of shops, restaurants and general amenities. Alternatively, the ancient and historic university town of St Andrews, renowned world-wide as the Home of Golf and with a wonderful cosmopolitan mix of facilities, is about 15 miles to the east, with the thriving city of Dundee, already home to Scott’s RSS Discovery and soon to be the location for the V & A Museum, a similar distance to the north-east, over the Tay Bridge. Home to an array of wildlife and, for the outdoor enthusiast, the perfect setting for a range of recreational pursuits, there is great scope for walking, cycling, riding and golf, with numerous highly rated courses close by including Ladybank, Elie, Lundin Links, Scotscraig and the many fine courses in and around St Andrews where The Old Course is a regular venue for the British Open which will next visit on 2021 for its 150th anniversary. Challenging shooting and fishing may be taken locally with some fine pheasant shoots nearby. 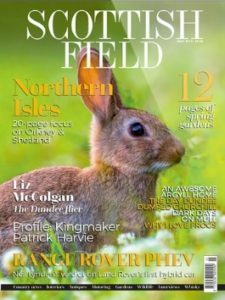 The Fife Hunt is the most northerly pack of foxhounds in the UK and there are many opportunities for riding with The Pony Club for the younger enthusiast and various riding clubs. There is racing and polo at Scone, outside Perth, which is also the venue for the annual Scottish Game Fair. The pretty fishing villages of Fife’s quaint East Neuk, such as Elie, Crail, St Monans, Anstruther and Pittenweem are just a short drive to the south. 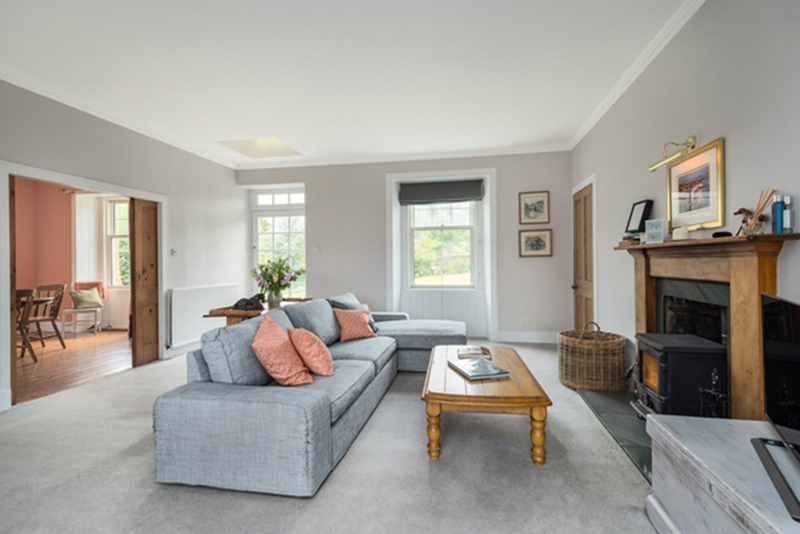 In terms of days out, the wide open spaces of the Lomond Hills are close at hand, along with several popular National Trust for Scotland properties including Hill of Tarvit outside Cupar, Kellie Castle and Falkland Palace. Fife’s beautiful and varied coastline includes several sandy beaches such as St Andrews, Kingsbarns, Elie and Tentsmuir. The agents will consider offers over £695,000. 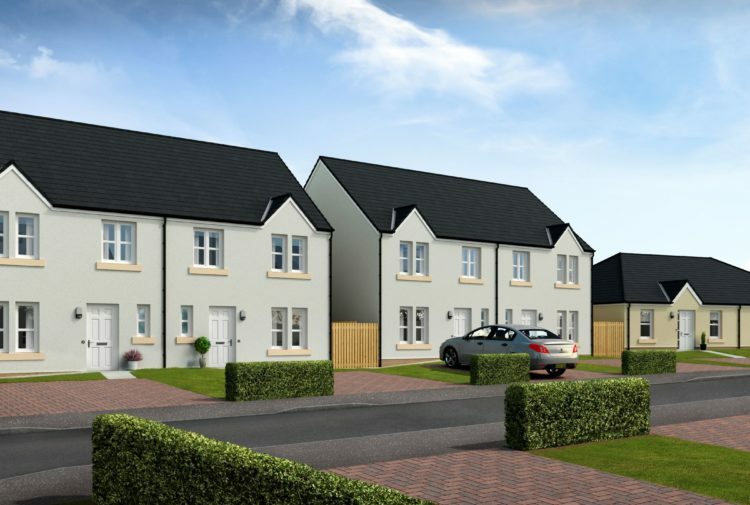 Click here for more property news from Scottish Field.